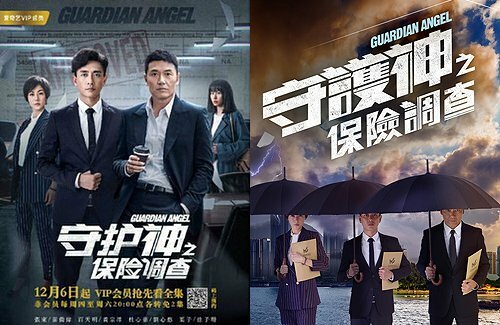 Appearing at a Beijing press conference for their new web-drama, Guardian Angel <守護神之保險調查>, Bosco Wong (黃宗澤) explained that the series has the most intense bed scene he has ever done in his career. Also attending the press conference were Bosco’s co-stars, Michael Miu (苗僑偉), Kate Tsui (徐子珊), Annie Liu (劉心悠), and Irene Wan (溫碧霞). In order to hype his fans up for this drama, Michael has been actively uploading photos and promotional clips on his Weibo account, including hints that he and Bosco will have a lot of scenes together. Shaw Brothers teams up with Mainland’s digital broadcast giant – IQIYI, to bring an exciting storyline and never-ending action to Guardian Angel. The web drama will officially premiere on December 6, 2018. ….I never thought I would hear the name Kate Tsui ever again, I thought she was done with acting and shes like gone from social media.